1. 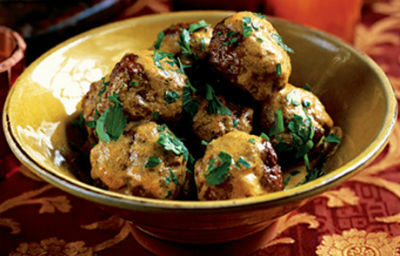 To make the Ghustaba (Lamb Balls), pound the lamb until it changes colour. 2. Using wet hands, mix the butter, cardamom powder and salt to the pounded meat. 3. Make balls and keep aside. 4. Place a pan over moderate flame. 5. Add the lamb balls, yogurt, ghee and water. 7. Add cardamoms, cloves, fennel powder and ginger powder. 8. Cover the pan with a lid and allow it to boil for 10 minutes. 9. Add the garlic paste and salt. 10. Continute to boil for another 10 minutes. 11. Add more water if desired and add the onion paste. 12. Stir and cook till lamb balls is tender and gravy has thickened. 14. Cook for a few minutes. 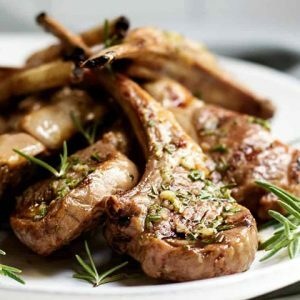 Feel free to comment or share your thoughts on this Gushtaba Recipe from Awesome Cuisine.